Participants will be involved in the uniqueness of painting an Appalachia sunset with its flora and fauna. Following sequential directions, each participant will learn the use of acrylic paint and how to incorporate their own visual experiences as seen in Appalachia. Each will be observing a demonstration, on a large canvas, with intervals of dialogue, explanations, suggestions, and constant instructional support with each stroke of the brush. 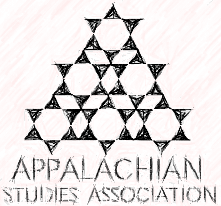 Participants will complete a painting in one hour and during the last 15 minutes will be spent in discussing Appalachia Studies and the importance in the continuation of maintaining and sustaining its future. Canvas, brushes, paint and other materials will be supplied, at no cost. Having been brought up in Europe and travelled, extensively, I earned a Master’s Degree in Art Education with Art Therapy and a Certification in Diagnostic Prescriptive Teaching. My expertise is in all forms of art, specific to the nature of Appalachia for I live in West Virginia and use it as my inspiration in painting its environment as well as teaching others to depict its beauty.